I came across an interesting report recently from accountancy firm Grant Thornton examining the ‘Vibrant Economy’. This challenges standard thinking and says that the economy should benefit society as a whole, taking into account not only financial growth and economic return within an area, but also a wider set of characteristics. Prosperity – An economy that produces wealth and creates jobs. Dynamism and opportunity – The economy is entrepreneurial and innovative, with a skills set that can drive future growth. Inclusion and equality – Everyone benefits from economic growth; the gap between richest and poorest narrows, regional disparities reduce, and there are opportunities for all. Health, well-being and happiness – People are healthy and active, leading fulfilling lives which provide individual prospects. Resilience and sustainability – The economy has a neutral impact on the natural environment, and built environments are resilient places people want to live in. Community, trust and belonging – Vibrant communities have a lively and creative cultural life, and a clear identity that all its people are proud of. People feel safe, engage in community activities and trust the integrity of businesses and institutions. GT have developed the Vibrant Economy Index, examining the 324 English local authorities to provide an indication of the vibrancy of the area. Each category is supported by a range of indicators, to be monitored & reported. While all of these categories reflect the wider realms of sustainability, my particular interests relates to environmental issues. Under Resilience and Sustainability, the indicators include Air quality, Recycling rate, CO2 emissions, Energy consumption, Development in National Flood Zone and Previously developed land usage. Their findings indicate no clear geographical pattern for reliance and sustainability. 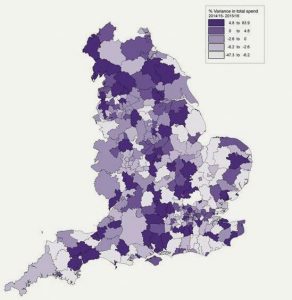 High performing areas are spread relatively evenly across the country, with ten of the best performing places covering five different regions. The strongest concentration of high performance exists in a corridor from the South West up through Oxfordshire, towards Cambridgeshire. In the North, Leeds & Northumberland score highly. London has a number of boroughs performing poorly while others perform extremely well. In Sussex, Horsham is ranked 36th (out of 324) while Adur is 320. This is an interesting piece of work, which acknowledges the wider impacts of the economy – to include environmental & social issues, reflecting the UN’s Sustainable Development Goals. To attempt to quantify & track these indicators allow local authorities & indeed businesses to actively contribute to a more vibrant society. It should challenge them to think differently about how they operate & what contributions they make to the economy & society – so that benefits are seen now AND in the future.  The services I offer compliment this – environmental management help businesses reduce impact, save money, engage with staff & customers. It benefits the business itself, their workforce, the economy, region & the country. For more information, see the Grant Thornton website.